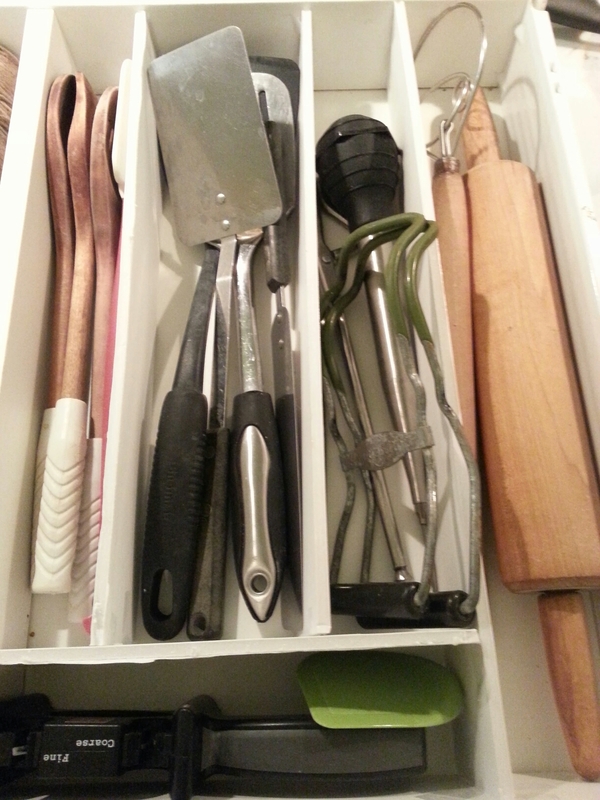 I like UfYH because it breaks seemingly insurmountable chores into easy, short tasks. It’s gotten me more into the habit of regular cleaning than I’ve ever been, and my house (and Companion) are thankful for that. I emptied the drawer and cleaned the chocolate stains out of it. (How did they get there? I don’t know.) I wiped it dry. The cleaning, cutting and taping took just about a half hour. Which makes me wonder why I put up with that chaos for eight years. Oh well, what’s past is past. 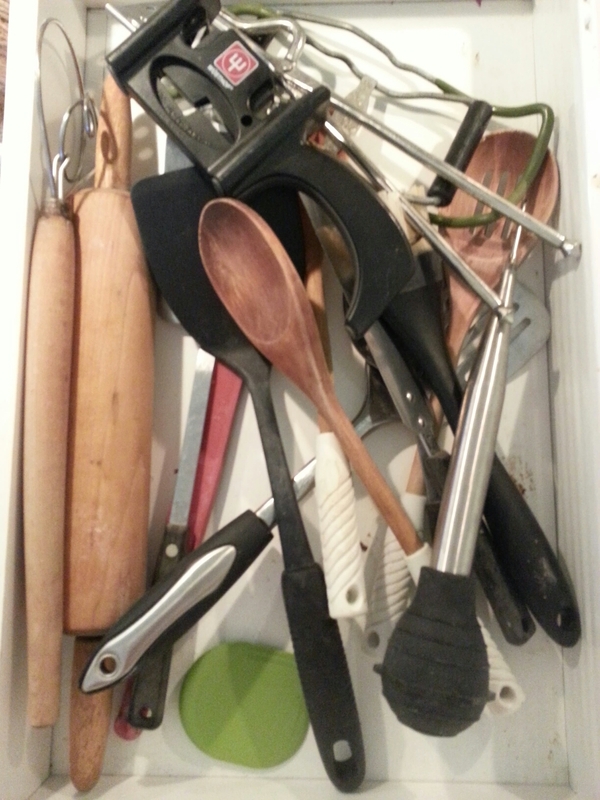 Now whenever I open that drawer, I break into a grin! Thanks! It's still holding up more than a year later.